Icons are images of significance and symbolism, traditionally used for devotion. Ken Picton's collection of hairstyles therefore bears the perfect name. 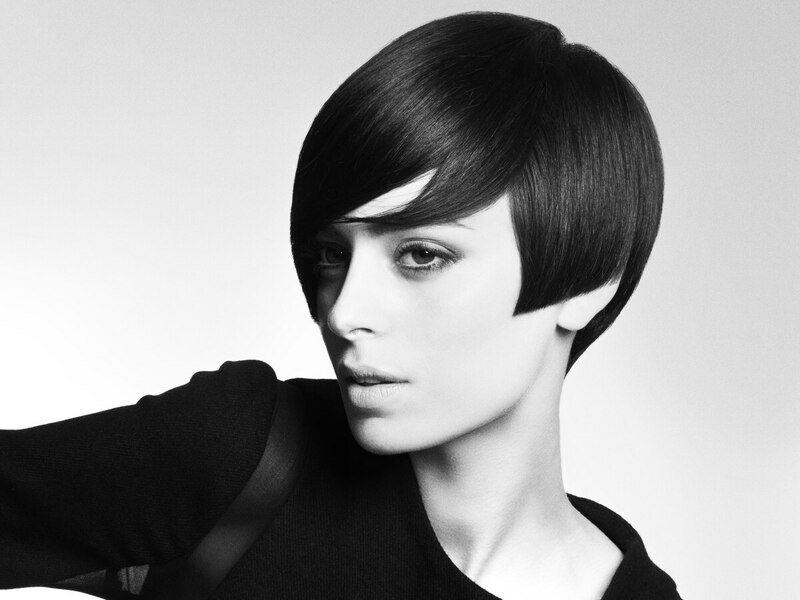 With is Ikonik collection he presents us with an intense line of eight distinguished looks, each unique and of the purest essence that can be captured in hair. Elements of the past mix with new ideas. All that matters is shape and expression. Color takes a backseat and does not distract from the intensity of the wavy, straight, geometric or free-formed lines. Photographed in black and white, the artist underlines his approach to a timeless collection for women, who are free, independent and creative. 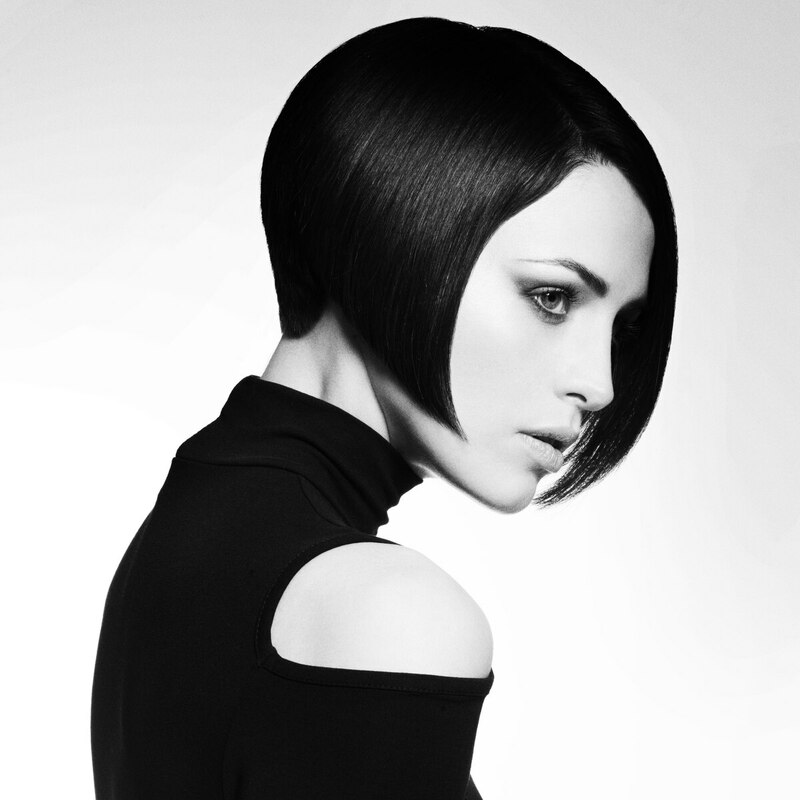 Pure lines are composed to an elegant, artistic bob shape that gains momentum from its minimalism. Extreme skill went into the smooth graduation that enables the roundness of the back. Hair was separated in its direction like petals of a flower and the evenness of one side is gently contradicted by the gossamer texture of the dominant side of the asymmetrical statement. A play on direction and gravity results in a literally highly creative hairstyle. With the sides clinging strict and tight to the head, the top hair was gathered and bolstered up to lofty heights. The soft and weightless effect is intensified even more by individual strands that float towards the sky with a sheer cosmic magnetism. Hollywood and the old Greece seem to have kissed the muse who inspired this gorgeous long hairstyle with large and supple waves. The even flow includes each and every hair and captures the light in large waves that decrease in size towards the ends. Smoothness and shine are simply out of this world. Everything is in harmony. Too beautiful to be true? Find out! Short spiky hair does not shock anymore, but it is still a symbol for revolt and opposition to all things straight and in boxes. All of the essential elements of the punk and new wave hairstyles have been included in this very iconic look. Texturing all over makes the look wearable and flattering. The sides were styled up to create charmingly diabolic shapes while the rest of the hair on the crown is scrunched to a merrily swirling mass with soft peaks. These curls are pumped to win. A bit afro, a bit Aphrodite are a part of the allure and most of all it is the sheer soft, huge curliness with the extreme volume that hits our senses. Luxurious and rare locks bedazzle and leave a lasting impression. For a good distribution of the mane's mass the long hair was layered and also features a short fringe together with tapering along the sides to perfectly frame her face. 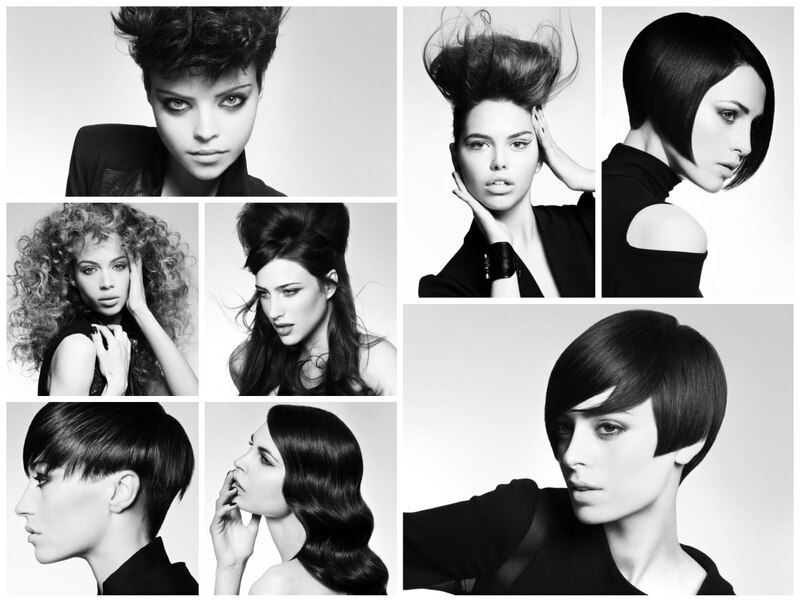 This retro feeling takes us back to the 60s and the swinging hairstyles of the era and place that were made famous by the Beatles and Twiggy. 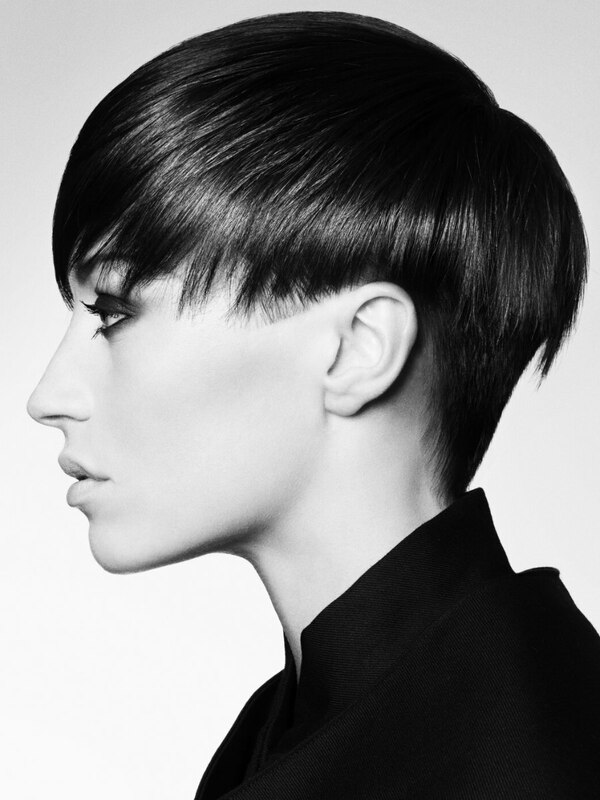 A short, meticulously haircut with asymmetrical and geometric lines and a very artsy curve disrupting the strictness of the rigid triangle on the forehead, are only part of the charismatic appeal. 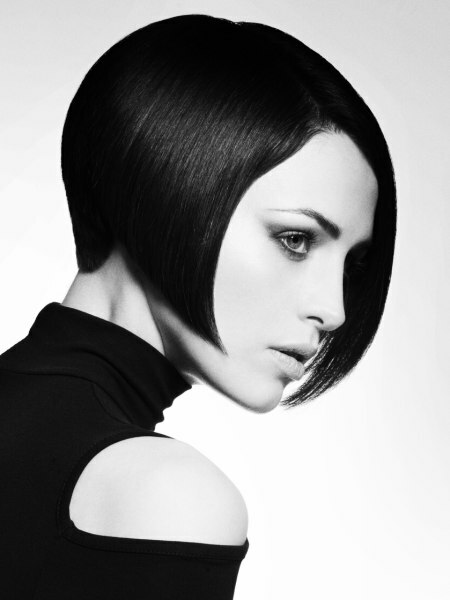 The bulbous creation on top is counterbalanced by playful, gently waved lengths that reach far below the shoulders. This partial updo speaks glamour and is infused with a few nods to past eras. Vintage and modern elements combine the best of both worlds and without any extra fuzz a grand look is born. 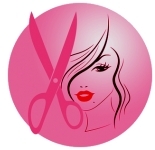 The forward motion is not just a hairstyle element but also a symbol and statement. The art of composition is also quite evident in the combination of the extremely short graduated neck and the sharp line of the undercut along the sides, both overlapped by the long top hair with its delightfully jagged edge. 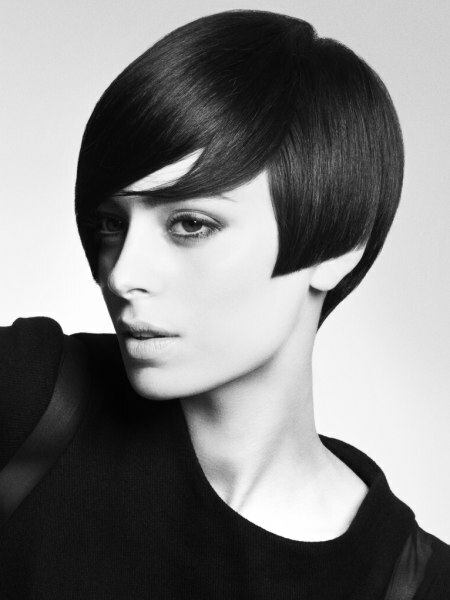 The fine texture moves around the whole head, softens the contour and contributes to the motion.